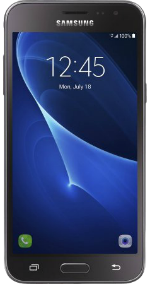 The Samsung Galaxy Sky is a 4G LTE smartphone that comes with a 5-inch Super AMOLED display panel. Powering the device from within is a Quad-Core 1.2GHz processor with 1GB of RAM. Aside from its 16GB onboard storage, the Samsung Galaxy Sky comes with a microSD card slot for up to 128GB memory expansion. Camera-wise, the phone is equipped with a 5MP rear-facing camera with video recording and a 2MP camera in front. Its battery helps it last up to 13 days in standby and 25 hours of talk time. Upon release, the phone runs on Android 6.0 Marshmallow OS. I am alarmed at the low intensity of the vibration mode. There appears to be no way to increase it and I doubt I will be able feel the phone vibrating in my pocket, let alone on a table next to me. It is very low! Not sure I can recommend this phone for anyone who needs this feature. This review is the subjective opinion of the user and not of myrateplan.com.